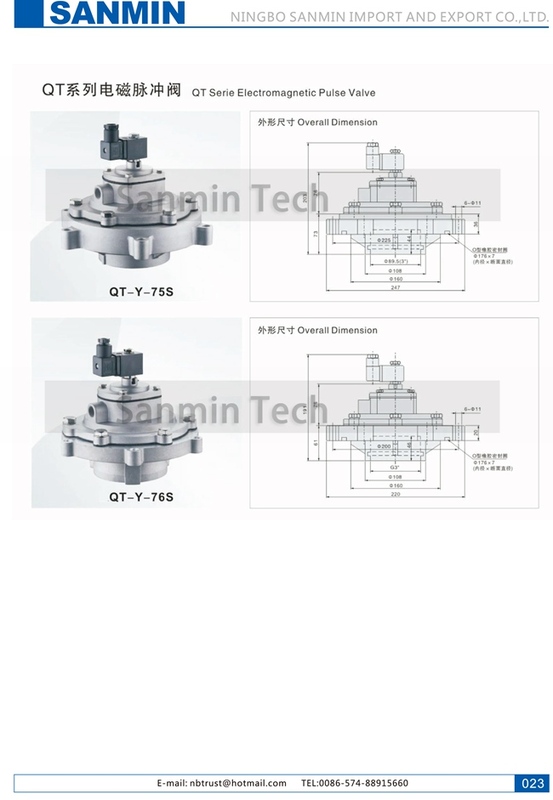 Y type electromagnetic pulse valves is a suble for the work occasions embedded valve ) , is directly installed in the gas bag , with better flow characteristics . 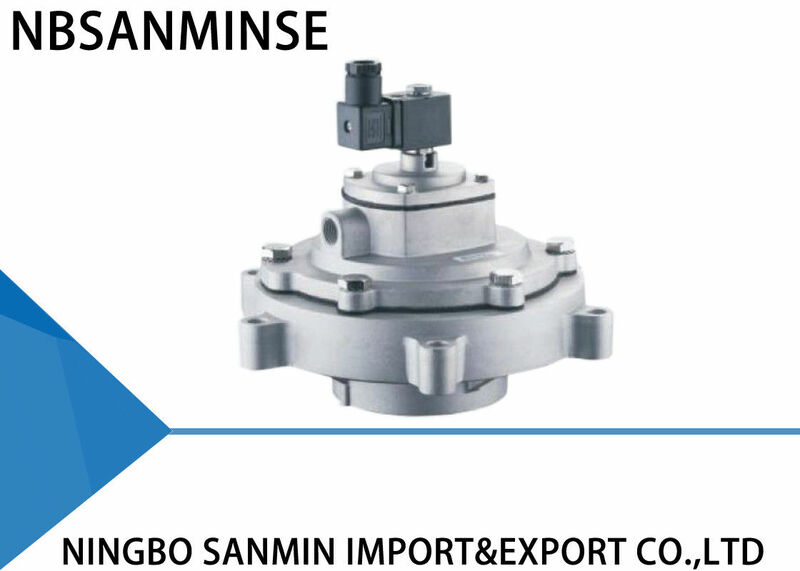 As pressure losses drops , it will be suitable for the work occasion of loser pressure gas source . The electromagnetic pulse diaphragm valve is composed of two gas cells . When the compressed air is connected , it comes into the back bags cell though the orifice , the pressure in the back gas cell pushes the diaphragm against the outlet of the valve and the electromagnetic valve stays in the “ closed ” condition . When the electromagnetic pulse valve returns to its original position . The air escape of the back gas cell closes and the pressure in the back gas cell cell rises , which pushes the diaphragm closely again . The electrical signals from the pulse jet control device move the armature of the electromagnetic pulse valve . The air escape of the back gas cell opens and the back bag gas cell loses pressure quickly , thus the diaphragm moves back and the compressed air blows through the valve outlet . The electromagnetic pulse valve comes into the “ open ” condition .